So, this is the official end of my five month hiatus. I have taken a break from writing to do what I truly love – coaching hockey. And, it’s been a tremendous season for me. I have coached for 31 years and I have to say this year’s team is one of my all-time favourites. We didn’t win any championships but, when it comes to effort, hard work, focus and a never-give-up attitude, this team had it in spades. It was also a great season to re-invent how I coach hockey and I look forward to sharing much of what I learned this season with you over the coming months. 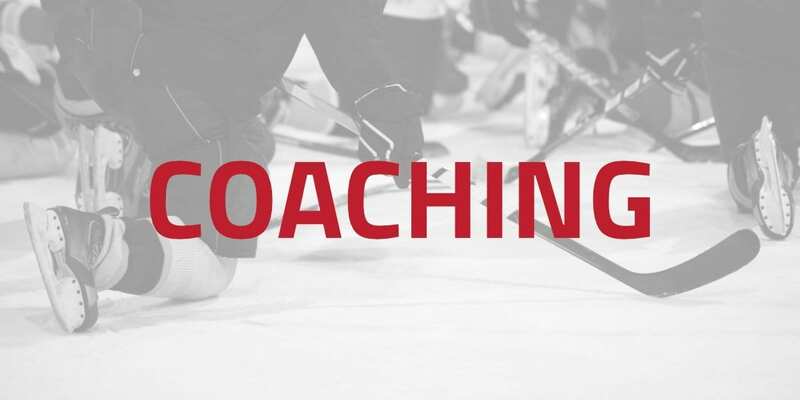 I was asked recently to present some thoughts on “coach mentoring” to a local hockey association. As usual, I let these things rattle around my head for a few days, mulling over the ideas I wanted to share. After jotting down some notes I realized my ideas would have more of an impact if I came up with some sort of a graphical representation. Something that would be memorable and a good take away at the same time. If you haven’t read any of Coach John Wooden’s books, you absolutely must. My personal favourite is his autobiographical They Call Me Coach. Wooden is quite simply the “coach’s coach”. His wisdom and approach to the game of basketball is even more impressive than his ten NCAA basketball championships while coaching at UCLA. If you strive to make a difference in young people’s lives as a coach then Coach Wooden is the epitome of the ideal. Wooden felt that developing young men was more important than developing basketball players but ultimately, they go hand in hand. Early in his career, Wooden put together his “Pyramid of Success” (shown below). I am comfortable reprinting it as Coach Wooden would always have Xeroxed copies with him that he would hand out to young players and, frankly, anyone who would ask – often with an autograph on it! His pyramid has become a valuable document, not only in sports, but in business and leadership. In fact, as much as I like Wooden’s pyramid, I am actually more partial to his 12 Lessons in Leadership which are also in the graphic below. My particular favourite is “1. Good Values Attract Good People”. This is one of my key philosophies on recruiting student-athletes (and their families). Why do I mention Wooden’s Pyramid? While trying to come up with a novel way to graphically represent my ideas on coach mentoring, it became clear that a pyramid was the only good way to do it. So, my apologies to Coach Wooden for “borrowing” but, I know, as a true “teacher” of the game, he would be okay with it. Whenever I lead a seminar or deliver a presentation, I always tell my audience that they don’t have to agree with everything I say and go away doing it just like I said to but, I hope they all come away with five nuggets – five things they go “Wow! That’s Good! I am going to use that.” Over the next few weeks, I will share with you my hockey coaching pyramid. I am going to be a bit of a tease and share it in bite sized pieces but, in a few weeks you will have the whole thing and I hope it will resonate with you as a coach. Hopefully, you will take away some great nuggets to apply to what you do with your athletes. Although my pyramid certainly has some foundational elements to it, I am going to choose to start at the top. In fact, the top is not even a triangle but a circle. Metaphorically, it is a “sun” that shines over all that is in the pyramid and for me, is the reason why we do everything we do in sports. But let’s be clear. “Fun” is not about not being serious, fooling around, playing shinny and scrimmaging all of the time (in fact, I am pretty sure we didn’t scrimmage 5 on 5 full ice once all year this season). Fun is about working hard, getting better, relating with your teammates, learning something new, seeing improvement, looking forwards to the game this weekend, talking about shared experiences on the road trip last month, competing against teammates in a small area game, sniping top shelf on your best friend who happens to be the goalie, coming off the ice tired and sweating and knowing that you gave your best for the last 90 minutes in practice. Heck, competing is fun! Winning hockey games is fun! Knowing you did your best is fun! Just being with your teammates is fun! If you’re not having “fun”, why bother doing it at all. Maybe the circle at the top of the pyramid isn’t so much a sun shining down but a lens through which to look at everything we do as coaches. As I build down from the top of the pyramid and fill in all of the levels, keep in mind that having fun at the rink is truly why we are doing this crazy coaching thing in the first place. Check back for more of Rick’s articles on his coaching pyramid and catch up on his past articles here.